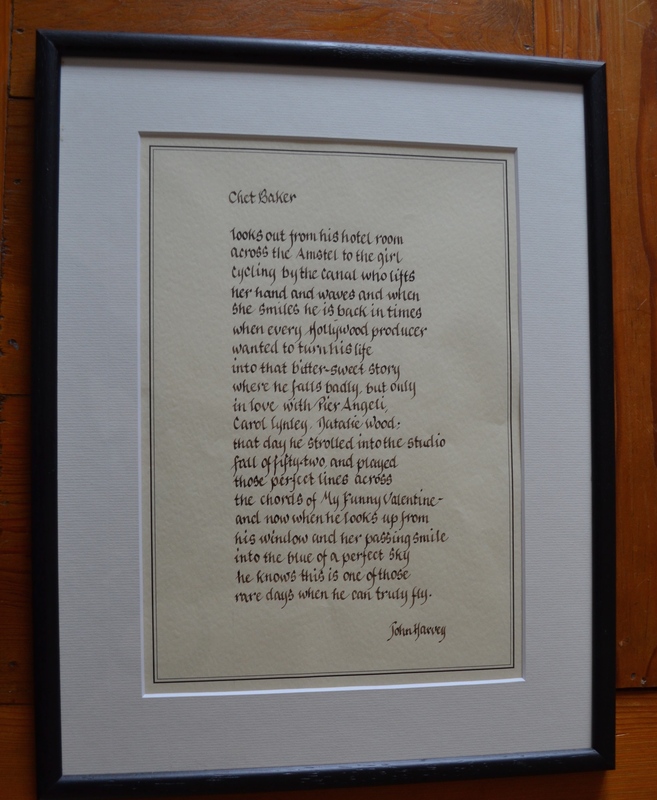 Bernie Collett liked my poem about Chet Baker so much he asked a friend, who was well practised in calligraphy, to write it out for him so that he could have it framed and put up on the wall. Looks rather fine, don’t you think? Readers of Michael Connelly’s The Drop might recall that Harry Bosch treated the same poem in a similar fashion. Good to hear from you. I’m afraid, though, St.Hilda’s has never quite crossed my radar. A little too Agatha for me, perhaps? But enjoy … and keep listening to Chet.